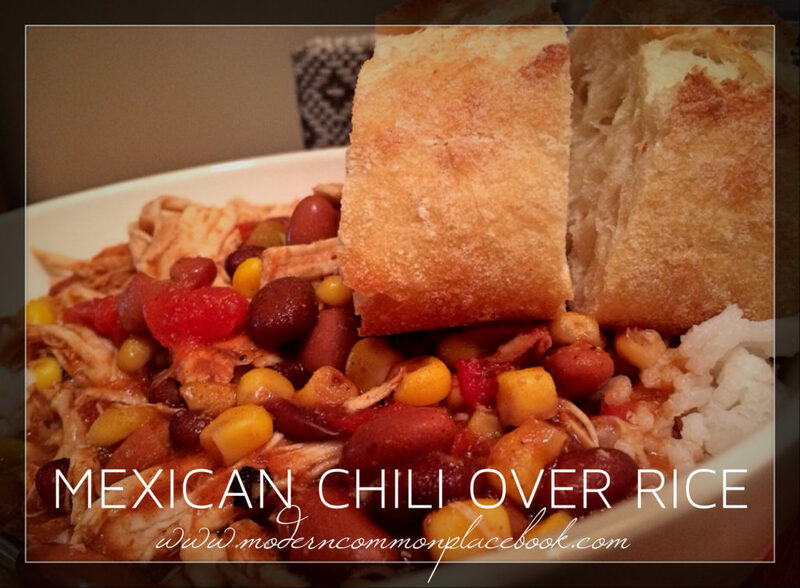 I give all credit for this recipe to my friend Virginia, who totally inspired me to make this yummy dish – Mexican Chili Over Rice. It is easy – yummy – and healthy. A total winter meal win in my book! Make sure you pin this favorite for when you are short on time for dinner! Place chicken breasts in slow cooker and top with all other ingredients. Cook on high for 4-6 hours, or on low for 8-10 hours. Serve with rice and crusty bread! Can it be easier than that?